Before any election, candidates must be chosen. Instead of treating the candidate nomination process as detached from the actual election, ElectionsOnline’s Nomination Engine treats it as an inherent part of the election. Nominated candidates—along with any biographical information—flow right into the final election setup, thereby eliminating a two-phase approach and further streamlining the overall election administration process. You do not yet know who the candidates will be. Your organization has an individual, or group of individuals, who will determine whether or not a potential candidate may be included on the ballot. Below are the steps for using the Nomination Engine. Set up an election. This is done in the usual fashion, by logging into your account and either creating a new election from scratch, or copying a previous election. There is just one small difference, step three of the election setup wizard requires listing at least one candidate for each position. When using the Nomination Engine, you’ll obviously not yet know the names of candidates, so provide a placeholder value that may be removed later. In fact, using the name Placeholder makes it easy to identify later for removal. Create biography templates. This step is optional and only to be done when you wish for candidate biographical material to be attached to the ballot and you’ve chosen to create biography templates for that. Alternatively, you may choose to use a free-form biography model in which case there is no need to create templates. The differences between the two models are discussed at Dual Models for Candidate Biographies. If using template-based, they must be set up and ready to use before soliciting nominations. Set biography submittal deadline. This is optional and only to be done when you wish for candidates to submit biographical materials. The candidate biography deadline is an election setting edited by clicking the Manage election settings link for your election. The deadline obviously needs to be well enough in advance of the start of the election that you have ample time to review the nominations and decide which candidates to accept and which to decline. Click the Nomination Engine link associated with your election. Copy the complete link at the top of this page for distribution in the next step. Provide the email address already associated with your organization. Select the position for which they wish to run. Once they’ve submitted that information, they may also go straight to submitting their biographical information, assuming the position permits candidate biographies. The candidates will begin immediately appearing on the ballot if you were to login to your account and click the Ballot Preview button associated with the election. Remove placeholder candidates. During election set up, if you provided any placeholder candidates to just to get the election set up, you may now delete those from the system assuming all positions have real candidates in place. Your organization does not have a multi-member nominating committee. Any eligible individual who wishes to be included on the ballot, is included on the ballot, with no review by the organization to determine whether to accept or deny the nomination. Add committee members by submitting the form on this page for each member. If applicable, assign committee members to a voter group and or special interest group. This would be done where the nominations committee has smaller sub-committees making candidate decisions only on certain positions on the ballot. In other words, think of committee members exactly like voters. They are in fact entered into the system as a voter and asked to pass through the ballot. They should see only the positions for which they select candidates, so assigning them to any appropriate voter groups or SIGs ensure they only see what they should see. Review nominees internally. Before inviting committee members to review nominees, an internal staffer should verify that every potential candidate is actually eligible. In some membership associations for example, only members in good standing may be eligible to run for office. Should it be discovered that some potential candidate is not in good standing, they should be removed before inviting committee members to review so as to not waste their time reviewing someone who isn’t even eligible. 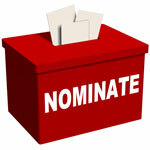 Invite committee members to review nominations. This will feel identical to the actual voting process. Different organizations approach this in different ways. Some nominating committees meet in person, some via online meetings, others pass documents around via email, but the one thing they all have in common is the need to see the potential candidates along with any biographical information. There’s no simpler way to do that than to actually preview the ballot as a voter. Click the Email members link and follow the onscreen instructions. There’s no right or wrong way for a nominating committee to select final candidates. Some organizations may require a group discussion where potential candidates are considered and then either accepted or denied. However, by previewing the candidates inside an actual voting environment, committee members could simply vote to make their selection. It’s a very streamlined approach that minimizes the burden on the committee members’ time. Whoever the top X number of vote getters are during this phase will be included on the final ballot that goes before the whole electorate. If taking this approach, you may wish to set the minimum and maximum number of candidates who can receive votes differently from what it will be during the actual election, and then change it before the election starts. Or not. It’s up to the election administrator whether to allow members of the nominating committee to vote for more or less candidates than the general electorate will be permitted to do. Remove denied candidates. Any candidates the committee denies may be removed from the ballot by clicking the Manage candidates link for your election, then deleting them. Understand this is a hard delete. In other words, the candidate is removed entirely with no way to recover it. If you think you may wish to restore the candidate later, and there is a biography associated with it, you might wish to store the candidate’s biography and photo on your own computer before deleting them. Conduct the election. With your ballot now set in its final form, you may proceed with conducting the election. Just as with testing, any pre-election voting activity needs to be removed to allow for a clean start so make sure to recalibrate before starting the real election.